Alaska Native News Jul 19, 2016. 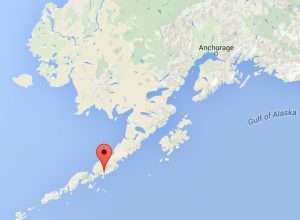 Alaska State Troopers announced via the trooper dispatch on Tuesday that they have opened an investigation into a shooting incident that occurred on Sunday in the community of Ivanof Bay where a resident of that community was killed. Troopers received the report of the shooting death at 1:38 am on Sunday. It was reported that 31-year-old Joseph Peterson had been shot and killed at a residence in Ivanof Bay. State and Wildlife Troopers responded to thew community to investigate the shooting, and Peterson’s remains were sent to the State Medical Examiner’s office in Anchorage for autopsy. Peterson’s next of kin were notified of the incident. No further information pertaining to the incident has been released by the troopers as they continue the investigation into Peterson’s death. Ivanof Bay is a very small community on the Alaska Peninsula. The nearest community to Ivanof Bay is Perryville, 3.6 miles to the east.